If you have ever tried to use your ordinary kitchen tools when you are grilling, you know that they don't always do the best job. You may have kitchen tongs, but they are not adaptable to some of the items that get cooked on a grill. 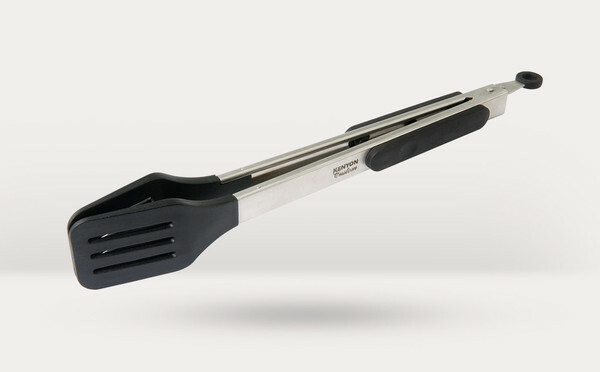 You won't be sorry if you add these square tongs to your collection of grilling utensils. The flat tongs are gentle with vegetables and fish that need to be turned and moved, but give a strong grip to turn heavier meats like a slab of ribs. The square tongs are made of stainless steel and are dishwasher safe.